Right about now, Brad Paisley is probably wondering what he has to do to land a #1 album. 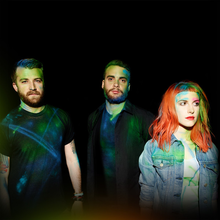 His new Wheelhouse enters The Billboard 200 at #2 (behind Paramore’s new album). Unless it moves up to #1 in a subsequent week, which rarely happens, it will be his fourth album to peak at #2, following Time Well Wasted, American Saturday Night and This Is Country Music. Only one other artist in chart history has had as many as four #2 albums without reaching #1. Sheryl Crow reached the runner-up spot with four consecutive releases from 2002 through 2008: C’mon, C’mon, The Very Best Of Sheryl Crow, Wildflowers and Detours. “Accidental Racist,” a track from Wheelhouse, has stirred considerable buzz and controversy. (The consensus is that it was a well-intentioned, but clumsy, attempt to start a conversation about race.) The track, a collabo with LL Cool J, enters Hot Digital Songs at #50 (based on sales of 43K copies). That puts it ahead of “Beat This Summer,” the second single from the album, which sold 32K copies. The Fine Print: Kidz Bop Kids has amassed five #2 albums without a #1, but that’s a franchise rather than an identifiable artist with a consistent line-up of members. Paisley has of course has had better luck on Top Country Albums. Wheelhouse becomes his seventh #1 on that chart, displacing The Band Perry’s Pioneer. Paramore is the first eponymous album to reach #1 since Evanescence’s Evanescence in October 2011. Paramore sold 63K digital copies this week (out of 106K total), which puts it at #1 on Top Digital Albums. Brand New Eyes also hit #1 on the digital chart, with first-week digital sales of 73K. Paramore also debuts at #1 on The Official U.K. chart. 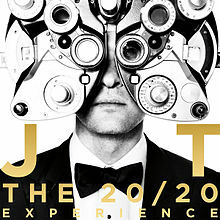 It bumps Justin Timberlake’s The 20/20 Experience from the top spot in both the U.S. and the U.K. Both Paramore and Timberlake are from Tennessee. (Paramore was formed in Franklin. Timberlake was born in Memphis.) Paramore is the first American rock band to reach #1 in both the U.S. and the U.K. since Linkin Park scored with Living Things in 2011. Tyga’s third studio album, Hotel California, debuts at #7. It’s his second top 10 album. Careless World: Rise Of The Last King peaked at #4 in 2012. (Eagles’ classic album Hotel California debuted at #4 in the last week of 1976. It went on to log eight weeks at #1 and receive a Grammy nomination as Album of the Year.) 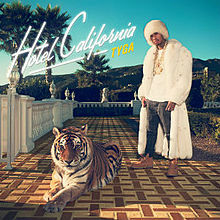 Will Tyga’s album be as successful? I’m guessing no. Volbeat’s fifth studio album, Outlaw Gentlemen & Shady Ladies, debuts at #9. It’s by far the highest-charting album by the Danish metal band, whose only previous chart album, Beyond Hell/Above Heaven, reached #161 in 2010. Stone Sour’s fifth studio album, House Of Gold & Bones Pt. 2, debuts at #10. House Of Gold & Bones Pt. 1 reached #7 in 2012. It’s one of two sequels in this week’s top 10. Lil Wayne’s I Am Not A Human Being II drops from #5 to #8. 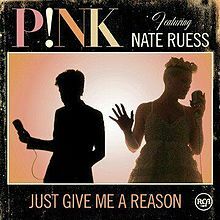 “Just Give Me A Reason” by P!nk featuring Nate Ruess returns to #1 on Hot Digital Songs (283K), after being displaced last week by Bruno Mars’ bargain-boosted “When I Was Your Man.” This is its third week on top. That’s the longest run at #1 on the digital chart for a female-led collabo since “We Found Love” by Rihanna featuring Calvin Harris had five weeks on top in late 2011. Will it also jump to #1 on the Hot 100? You’ll find out later today when we post Chart Watch: Songs. The Top Five: Paramore’s Paramore debuts at #1 (106K). 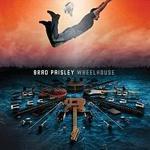 It’s the band’s second top 10 album…Brad Paisley’s Wheelhouse debuts at #2 (100K). It’s his eighth top 10 album…Justin Timberlake’s The 20/20 Experience drops from #1 to #3 in its fourth week (98K). It has been in the top five the entire time… Blake Shelton’s Based On A True Story… holds at #4 for the second week in its third week (61K). It has ranked in the top five the entire time…Eric Church’s Caught In The Act: Live debuts at #5 (61K). It’s his second top 10 album. The Second Five: The Band Perry’s Pioneer drops from #2 to #6 in its second week (56K)…Tyga’s Hotel California debuts at #7 (54K). It’s his second top 10 album… Lil Wayne’s I Am Not A Human Being II drops from #5 to #8 in its third week (42K)…Volbeat’s Outlaw Gentlemen & Shady Ladies debuts at #9 (39K). It’s the band’s first top 10 album… Stone Sour’s House Of Gold & Bones Pt. 2 debuts at #10 (35K). It’s the band’s fourth top 10 album. Six albums drop out of the top 10 this week. Tyler, The Creator’s Wolf drops from #3 to #22. New Kids On The Block’s 10 plummets from #6 to #53. Killswitch Engage’s Disarm The Descent drops from #7 to #36. Imagine Dragons’ Night Visions drops from #8 to #17. P!nk’s The Truth About Love drops from #9 to #14. Bruno Mars’ Unorthodox Jukebox drops from #10 to #12. 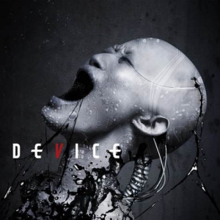 Device’s debut album, Device, debuts at #11. The industrial metal band was started by David Draiman, front-man for Disturbed (whose last four studio albums have reached #1). Device also features Geno Lenardo, former guitarist with the band Filter. Pitch Perfect drops from #30 to #34 in its 25th week. It’s the highest-ranking soundtrack to a theatrically-released movie for the 15th week. Cast member Rebel Wilson hosted the MTV Movie Awards on Sunday. Pitch Perfect has sold 517K digital copies, which makes it the second best-selling soundtrack in digital history. Twilight is the leader among soundtracks, with digital sales of 727K. Will Pitch Perfect top Twilight in the digital realm before the year is out? Stay tuned. Dawes’ Stories Don’t End debuts at #35. Dubstep pioneer James Blake’s Overgrown debuts at #37. 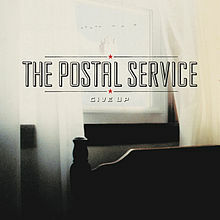 The Postal Service’s 2003 album Give Up re-enters the chart at #45. This constitutes a new peak for the album, which originally peaked at #114. The album re-enters Top Catalog Albums at #1. The album has been a true sleeper hit: It has sold 1,094,000 copies even though it has reached 15K in weekly sales just once (Christmas week of 2004). The duo features Benjamin Gibbard, who also formed Death Cab for Cutie. Sound City—Real To Reel returns to #1 on Top Music Videos. This is its third week on top. 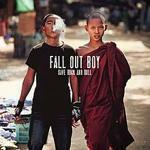 It has sold 24K copies over the course of its six-week run. 42, the Jackie Robinson story, was #1 at the box-office over the weekend. Coming Attractions: Fall Out Boy’s Save Rock And Roll and Kid Cudi’s Indicud will vie for #1 next week. Both albums will sell in the range of 145K copies. Andy Mineo's Heroes For Sale and Yeah Yeah Yeahs’ Mosquito will probably debut right around #7 and #8, each with first-week sales in the 30K range. Also due: Olly Murs’ Right Place, Right Time (about 14K), Iron & Wine’s Ghost On Ghost, Sarah Brightman’s Dreamchaser, The Flaming Lips’ The Terror, Steve Earle & the Dukes’ Low Highway and Snoop Lion’s Reincarnated.